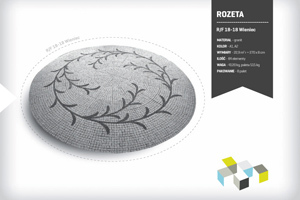 KATA Mosaic is a preassambled natural stone mosaic mounted on a concrete base. 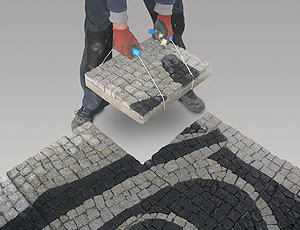 The complete mosaic is divided into easy to handle elements which are put together on site just like jigsaw puzzles. It can be used for decorating piazzas, golf courses, gardens, terraces, parkings etc. 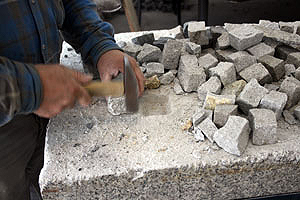 Granite paving easy as jigsaw puzzle. Natural stone comes in a wide range of colours and shapes which can be composed into interesting designs: crest, logo, floral motives or a favourite painting. 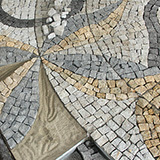 KATA Mosaic is a hand made outdoor art piece. 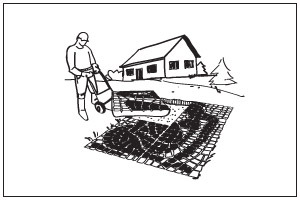 Our product is very resistant to damage and climate. Granite, basalt, porphyry are fully resistant to frost and chemical substances like acids and salts. Their longevity is measured in hundreds of years and the surface gains beauty with time. Apart form our catalogue of available designs we are open to individual products based on the design ideas of our clients.